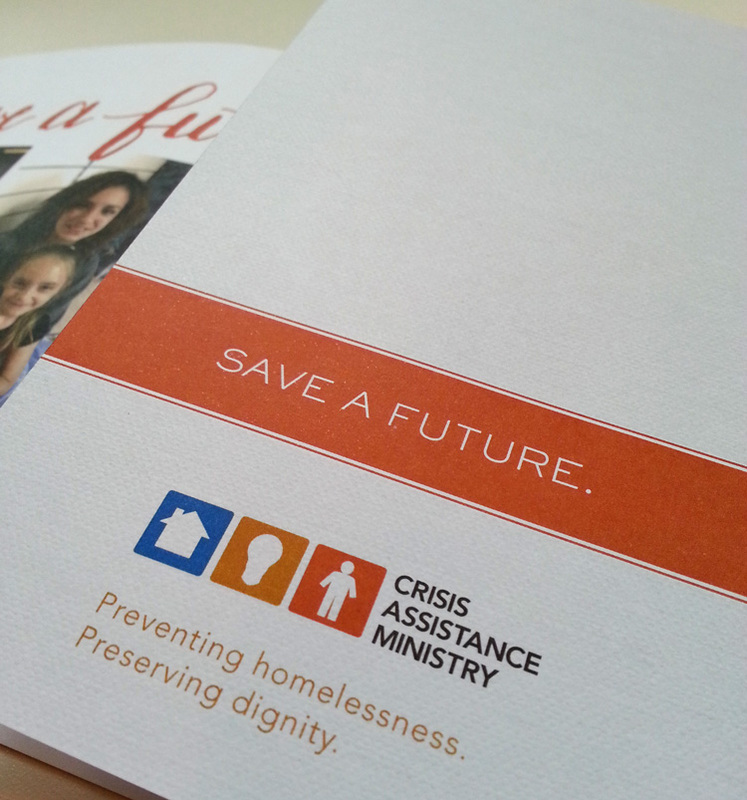 This is the 5th year I have worked with Crisis Assistance Ministry on their long-running "Non-Event" fundraising campaign. 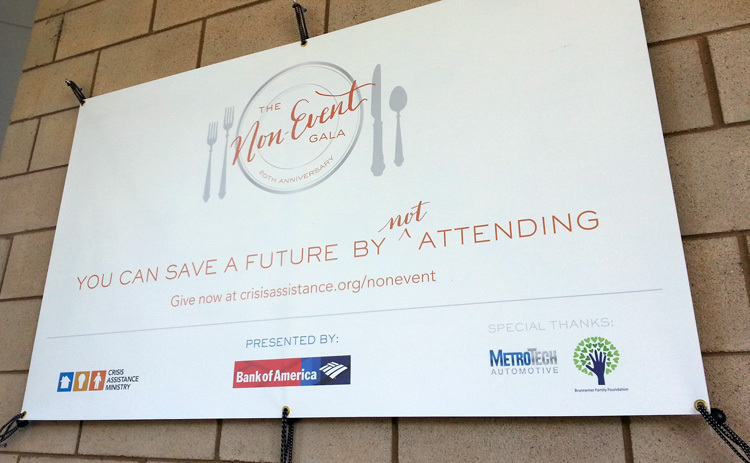 The concept: rather than invest in the expenses of hosting or attending a fancy gala, donors' contributions will go further toward the agency's mission of helping Charlotte families in financial crisis. The campaign includes a wide array of graphics for ads, banner signage, website, and social media. 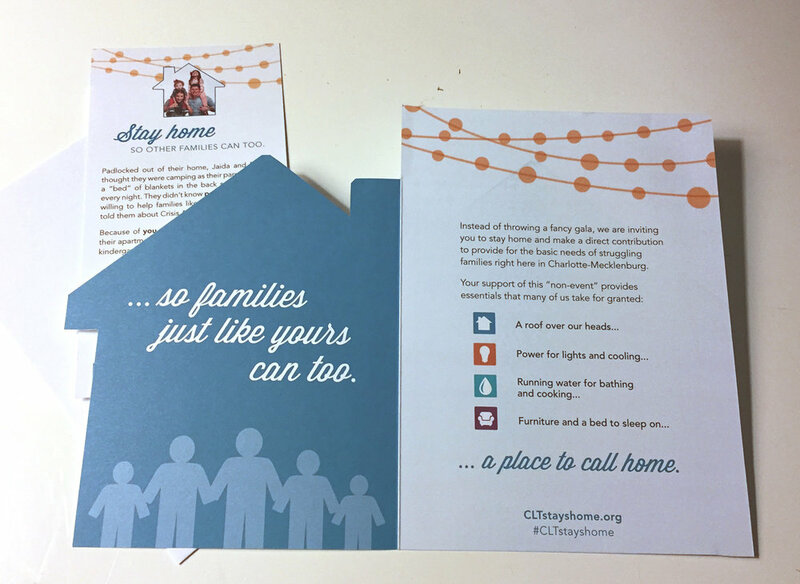 This year's direct mail "invitation" featured a die-cut house shape and repetition of the string light motif from previous years' campaigns. A peek till I can get higher-quality photographs . . .
Crisis Assistance Ministry is in the midst of their 20th annual Non-Event Gala campaign, an innovative fundraiser that invites their supporters to give without engaging the expenses and hassles of a traditional fundraising gala -- no caterers, no entertainment, no wardrobe decisions, no babysitters... No actual event. Pretty brilliant, I think. This year, I helped the Crisis campaign team to design branding for the event that evoked the imagery of a fine dining event (the traditional gift of the 20th anniversary is china! ), including hand-lettered calligraphy and formal invitation styling. 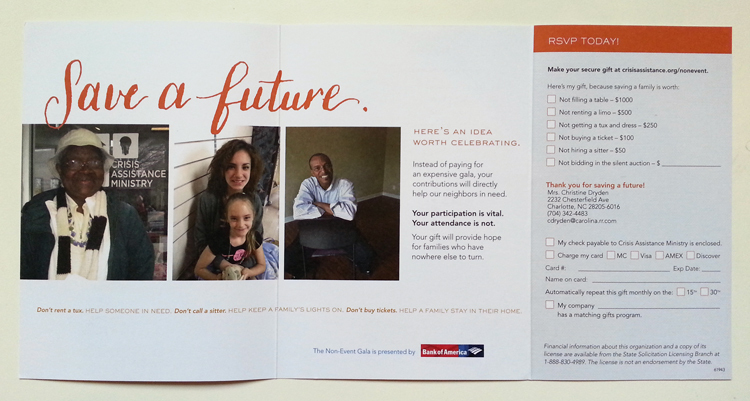 In addition to printed "invitation", the campaign also included email marketing graphics, magazine ads, and a poster that is displayed at the organization's donation center. It is a great pleasure to work with this fantastic organization on such a creative campaign.